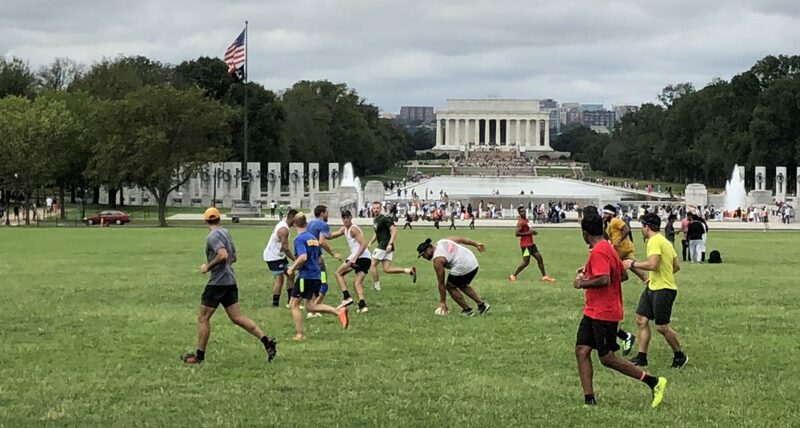 Rugby moved Sat 9 Sept.
National Park service has turned our field to nothing but dirt. Moving rugby back to 17th and Constitution. See you there soon! Dag too bad. Thanks for the update. Cody, What do you think about exploring the pitches near the FDR that are flat and level? Should be on at 17th and Constitution area. People are probably just being slow arriving.